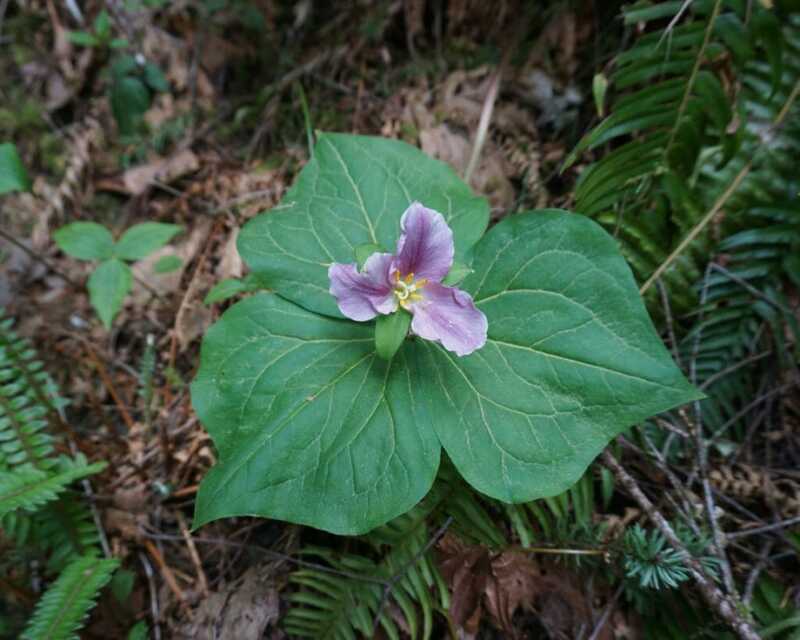 Trillium ovatum. One of the first early flowering wild plants on the Oregon coast. Discover edible and useful wild coastal plants – Oregon. Join with your guide, Mark Wienert, as we discover the benefits and uses of Oregon’s coastal plants. Each day offers a unique experience which includes plant identification of edible, medicinal, and utilitarian plants. Emphasis is on identifying and uses of wild edible and useful plants of the Oregon Coast. Includes lecture and field study. Wild plants, we admire them, harvest them, use them, and eat them. Discover what common wild plants grow near you and how you can include them in your diet. And it’s easy to add wild plants to your seasonal menu. Coastal plants, trees, and yes even fungi give us a bounty of practical and utilitarian uses. Native peoples have been using these plants for thousands of years. 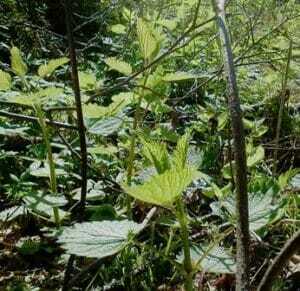 Wild plants like the Stinging Nettle in the photo are an important resource for fiber. Fishing line and rope were made from the strong inner fibers of this plant. You will try your hand at string making. learn how and when to harvest, prepare, and twist string also called cordage from Nettle and several other useful plants. Who can say no to a fresh berry pie made from ripe Oregon coast berries? But that’s not all. Some berries can be made into syrup or dried for use as antiviral medicine. Wild plants have so much to offer the outdoor forager. We only book up to ten people for this two-day weekend. Book your spot today and begin your journey into the interesting and amazing world of edible and useful wild coastal plants of Oregon.